A walk through the Miniature Park is the best way to begin your journey into nature, history and culture of Sardinia. Walking through the countryside you can see the copies of Sardinia’s most important monuments, built on a small scale and in extraordinary detail. While visiting the park you can also take a guided tour around the island by boat and look out across the country from the viewing tower. Along the route, there are multilingual audio-guide buttons that will enable you to fully enjoy the sites that are featured here. Then you will see the reconstruction of Sardinia’s Nuragic village in miniature which represents the most reliable and complete picture of the habits and customs of the people who inhabited the island during the Iron Age (10th century BC). Inside the traditional buildings, you can admire activities of everyday life such as working with clay, the art of melting bronze or grinding grain. These are housed in a large courtyard villa where, with the aid of an audio-guide, you can learn about the complex religious and political organization of the Nuragic people. Rounding off the reconstructed village is the large council chamber and the megaron temple, both important examples of Nuragic architecture dating back to 3,000 years ago. 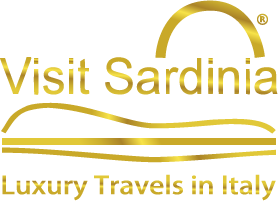 The ticket BASE includes the visit of Park Sardinia miniature, reproduction of a nuragic village scale 1: 1, botanical trail, observation tower, playground, boat trip around Sardinia miniature and the train ride around the park.